While the stock market has generally trounced most sectors of the health care industry in recent months, the Hospital sector has seen something of a rebirth and begun to regain its financial legs. Some of its new-found financial strength has naturally been reflected in merger and acquisition activity. 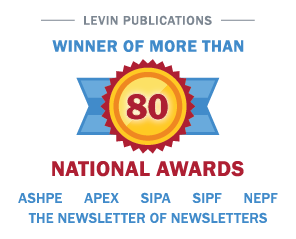 Irving Levin’s most recent edition of The Health Care Acquisition Report, available in April 2001, gives details of, and analyzes major trends in, the M&A market for the Hospital, Managed Care and Behavioral Health sectors in 2000. The Report includes comparable activity from the four prior years to provide a backdrop for the analysis. In 2000, the number of hospital deals (86), the number of acute care facilities transferred (132) and the number of acute care beds involved (20,006) declined against the prior year’s figures by 22%, 25% and 33%, respectively. The last figure omits the 21,000 managed beds involved in Triad Hospital’s (NASDAQ: TRIH) $2.4 billion acquisition of Quorum Health Group (NASDAQ: QHGI) now pending. According to certain financial milestones, however, the 2000 hospital M&A market improved: the average and median price-to-revenue and price-to-EBITDA multiples. The chart below indicates that three of these four multiples rose in 2000 over their 1999 levels, which admittedly had reached their lowest level in the period from 1996 through 2000. The set of data on which these multiples are calculated omits bankruptcy transactions, which have a financial logic all their own. As against the three other measures, the average price-to-EBITDA multiple clearly fell in 2000. This may be due in part to the inability of our analysis to make adjustments to a facility’s EBITDA that could be made by the parties evaluating a transaction (after all, adjusted EBITDA is not a GAAP concept). Revenues, by contrast, are more widely available and less subject to financial manipulation. The price-to-revenue multiple thus appears to offer a less subjective measure of the hospital M&A market. That these key multiples rose in 2000 suggests that buyers were willing to pay more than in 1999 and, hence, that they are now finding hospital acquisitions more attractive than in the recent past. Improved earnings and P/E ratios indicate that as investors return to the Hospital sector, they will supply it with more capital to carry out further mergers and acquisitions. A case in point. Tenet Healthcare (NYSE: THC) recently beat analysts’ earnings estimates and indicated that hospital acquisitions would now play a more prominent role in its growth strategy. This shift may well set a trend for the other for-profit hospital companies. Three of the five that trade on the NYSE, Tenet, Universal Health Services (NYSE: UHS) and HCA-The Healthcare Company (NYSE: HCA), have posted 23%, 18% and 3% increases in their respective stock prices since November 2000, when we profiled the sector’s renewed vitality.